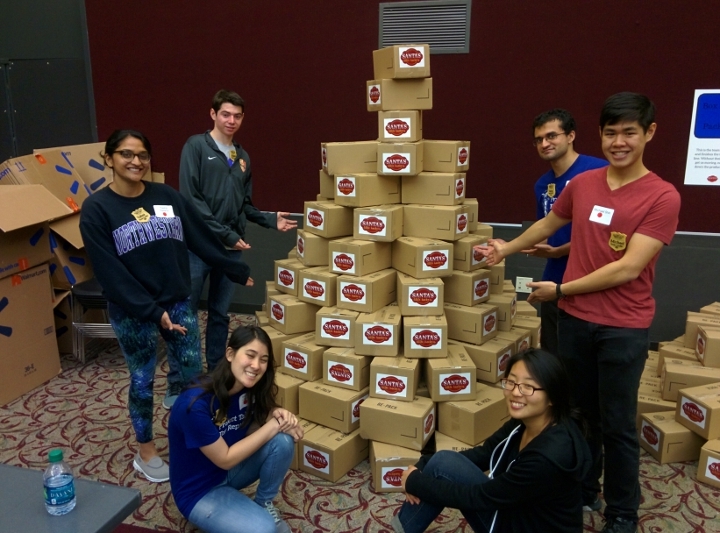 Santa’s elves got a little bit of help this year from Duke University engineering students. Along with more than 200 volunteers from across the Triangle, members of the Duke student group Project Tadpole spent a day modifying nearly 350 toys for children with disabilities to help spread holiday cheer. Dubbed “Santa’s Little Hackers,” the event was a satellite of the original program based in Colorado. 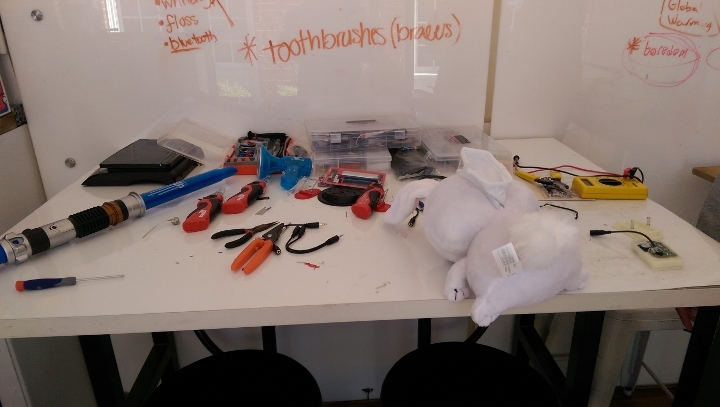 During the event, Duke students oversaw simple modifications, helping volunteers solder new electronics into the toys—mostly simple devices that move, talk or light up by pushing a button or squeezing a hand. Many children with disabilities, however, lack the fine motor control needed to interact with such toys. To work around the problem, volunteers installed battery interrupters and new switches that are easier for children to activate, such as large external buttons or levers. While they were soldering, other volunteers were boxing and packaging the newly modified toys, which were shipped to people in need around the world for free. But that was just during a single event—the group modifies toys year-round, offering a much-needed service for local parents while providing the students with hands-on experience. Project Tadpole originally started by the North Carolina Assistive Technology Project as a statewide library of modified toys available for request for any family in North Carolina. Many of the toys, however, would come back to the program broken, presenting a challenge to the small, backlogged operation. Where Project Tadpole saw a challenge, however, Kevin Caves saw an opportunity. An expert in technologies to assist people with disabilities, Caves thought that students in his biomedical engineering classes could help. After a break in state funding, however, the toy library had to close its operations. That didn’t mean that the students had to stop reaching out to the community, however--they just formed a student-led, student-run group by the same name of Project Tadpole. Without a library of toys to repair, the group had to find other ways of connecting to local parents and children. They began hosting modification workshops, where parents could come with their children to have their toys modified or to learn how to do the modifications themselves. The group also meets every week for an hour in the basement of Duke’s Hudson Hall to modify toys and plan their next event. At the Santa’s Little Hackers event, the group was introduced to Betabox—a mobile, shipping-container-sized laboratory dedicated to eliminating “technological deserts.” This past November, Project Tadpole teamed up with Betabox at the Orange County Public Library to offer a new type of event.